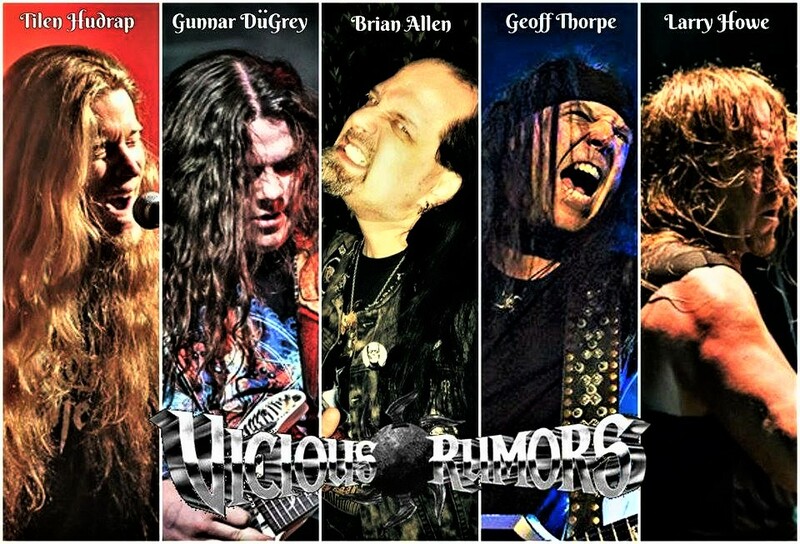 If you don’t know by now, VICIOUS RUMORS is indeed a living entity; always progressing and evolving with time. 38 years and 16 albums later.....the band promised some major announcements and here they are: VICIOUS RUMORS is proud to welcome back lead singer Brian Allen. (Brian sang on SPV/Steamhammer albums Razorback Killers (2011), Live You to Death (2012) and Electric Punishment (2013)). Brian, who left the band in 2013 for family reasons returns to the band with full force and power. Geoff Thorpe says: “We’re so excited to have Brian back! Life really does have a funny way of coming full circle!” VICIOUS RUMORS is already working on a killer new studio album.